To ordinary people, a simple look at guitar will mean a guitar as a piece of wood, but for a music lover, a guitar is something which has the power to transform the sound produced by an instrument. 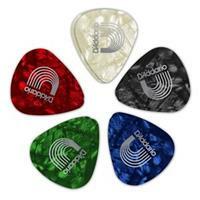 Guitar picks are also known as plectrums, and they come in a variety of sizes ranging from as small as a fingertip to 2 inches wide. Guitar picks have a dramatic impact on the overall tone. 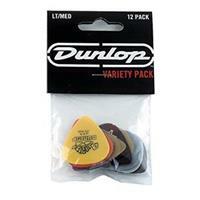 Smaller picks when comes into contact with the guitar strings produce a warmer tone. On the other hand, larger picks are easier to grasp and even makes fretting easier by preventing the fingers from brushing the strings. 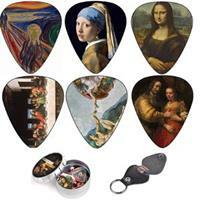 You must know that not all types of picks suit all types of guitars. 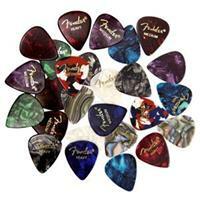 Instead, there are different types of picks for playing Rock, Electric Guitar, and even for acoustic. Remember, a guitar pick is equivalent to a violin player’s bow so don’t hesitate to spend money on it. If you are a music lover and fond of playing the guitar, you must have a review of some of the best guitar picks before buying them. Lots of good players use their fingers to play the guitar, and it is not very important to play with a guitar pick. But if you are a beginner who is learning different styles then you surely must make use of a good guitar pick. There are a few styles; bluegrass flat-picking and metal shredding that do require a pick for delivering a perfect tone. You must not pick up bad techniques starting with the use of fingers of fretting because they are much harder to unlearn. You must use guitar picks and start with right techniques even if you find it a little harder at first. There is no difficulty in learning plectrum techniques as they are as easy as learning left-hand techniques. For playing impressive sounds, we suggest you practice with guitar picks only. Synthetics like nylon and polycarbonate extensively used in the manufacturing of guitar picks are banned in some countries. The best materials are celluloid and acetal Delrin. The picks made of these materials are durable, sturdy and lightweight. They produce a well-rounded warm tone and are very less prone to picking up noise. The other thing that matters is the Pick Texture. People typically opt for a slick and smooth texture. Grind surface increases the grip and firmness of the pick and prevents slippage from sweaty fingers while playing. We advise you to experiment with some guitar picks if you don’t know about your sound yet to find the perfect one for you. Moreover, while playing the guitar, do not just rush into things; take the time to think what tone or sound you want to achieve. If you are stuck up for inspiration, then changing you guitar picks might do some help. 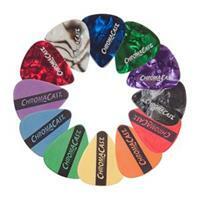 We know that selecting a right guitar pick is a bit overwhelming when so many options are available. But make a list of pros and cons and read the reviews thoroughly to take a wise decision.